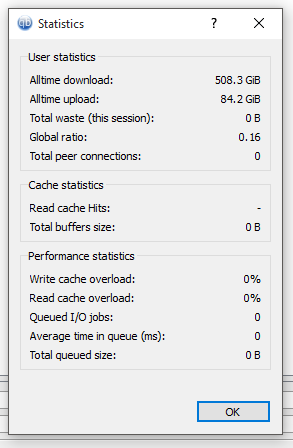 I switched to qBittorent from utorrent some months ago and have been very happy with its performance. This is my everyday torrent client. Works well, nice interface, no spyware. Best of all torrent clients. Never had anything but a positive experience with it. Perfect options. Written for the user and not some side interest group. Just switched over to this and so far, so good! Downloads very fast, still learning how to configure, but seems to do the job well! Tired qBittorrent the other day with 3 different torrents, It FAILED on ALL 3 with i/o errors. while uTorrent handled the same files with ease. I dont know why but download speed compared to Tixati is outstanding! This is great app and now my default torrent clitent. Simply The Best!! Better then ALL the REST! @CyberDoc999: Clearly you haven't used it because there is no comparison between the two, especially with performance. By far the best torrent client available. Fast and clean. With a little tweaking, it frequently goes up to 80 MB/s on my gigabit connection. As you can see, zero overloads, even at these speeds. Pros: Clean and efficient. Easy to use. Cons: None as far as I can see..
Bottom Line: I switched to qBittorent from utorrent some months ago and have been very happy with its performance. Not bad bad I still think uTorrent is better. I hope this program improves because I love the thought of an open-source bittorrent client. 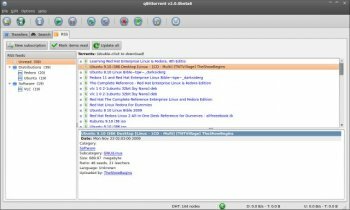 I've been tinkering with qbit for a couple years now but it wasn't until the last release that it's become the only torrent client I need. rev 3.09 -- torrents stall continuously. stick with utorrent!